Iodized combination stimulates thyroid function to prevent goitre formation, natrium sulfuricum stimulates the liver, and croton tiglium stimulates intestinal function. Together, the ingredients stimulate tissue metabolism, remove excess tissue fluids, and regulate thyroid function. Adults should consume 10 to 15 drops with water four to five times everyday in acute condition. Later, take 8-10 drops twice or thrice daily. 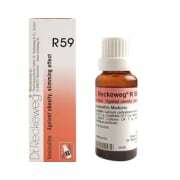 Children should consume 5 to 10 drops depending on age. 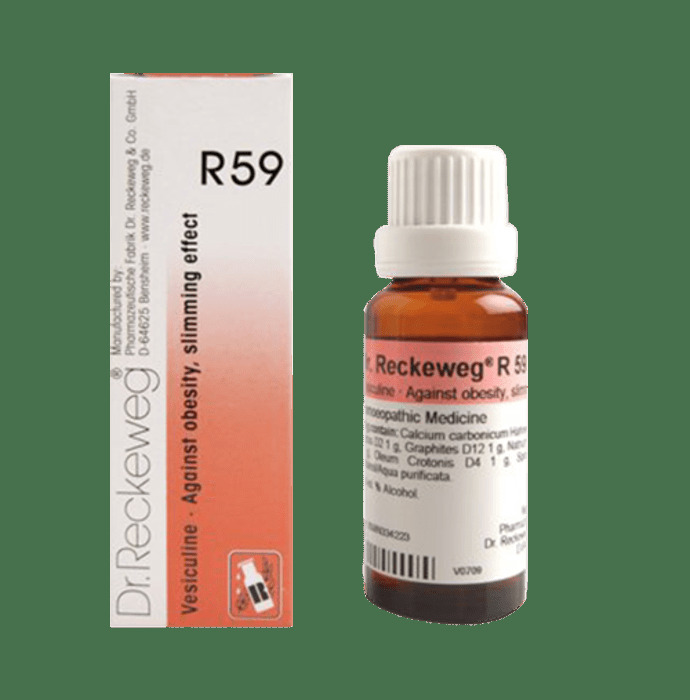 A licensed pharmacy from your nearest location will deliver Dr. Reckeweg R59 Obesity And Slimming Drop. Once the pharmacy accepts your order, the details of the pharmacy will be shared with you. Acceptance of your order is based on the validity of your prescription and the availability of this medicine.